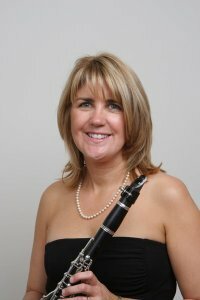 Helen Goode-Castro graduated from the Royal Northern College of Music, England with an Honors degree and a Professional Performers Diploma in clarinet. She earned the Artists Diploma at the Royal College of Music. While in London, she performed with several European orchestras including the BBC Philharmonic, Manchester Camerata and Germanys Süd-Bayerische Philharmonie. Goode-Castro moved to Los Angeles to study with Gary Gray at UCLA, where she obtained an MFA in clarinet performance and then began studies at USC on a DMA with Yehuda Gilad and Michele Zukovsky. She freelances regularly with the Mozart Camerata, Los Angeles and California Philharmonics, and the Santa Barbara, Long Beach, Redlands and Inland Empire symphonies, and has performed with the Los Angeles Chamber Orchestra as a guest player since the 2005-06 season. She was a finalist in the Boosey and Hawkes clarinet competition in Chicago and won a position with Sarasota Opera Festival Orchestra in 1996 and 1997. In London, she performed Tone Poem for Clarinet and Orchestra by Charles Fernandez -- on our forthcoming program -- with the Royal Philharmonic Orchestra. She teaches at the Los Angeles County High School for the Arts and is also on the faculty at California State University, Los Angeles and California State University, Long Beach.